Effluent Treatment is a method through which wastewater which is released by the manufacturing industries, pre-treated & post treated by anaerobic and aerobic process through chemical catalytic additives. Effluent treats by equalization to anaerobic and then aerobic to clarification process. Our service is to provide water parameters upto environmental norms as per pollution control boards to acheive zero hazardous waste. Ventilair engineers provides various range of Effluent Treatment Plants for recycling of wastewater to reduce water demand. The comprehensive treatment solution works at various levels and involves various physical, chemical, biological and membrane processes. We also provides effluent treatment solutions for various types of industrial waste water. Customized systems to suit the wide variety of effluents and to maintain efficiency are provided to industries. These systems include physic-chemical treatment, biological treatment, tertiary treatment and membrane separation process to achieve the zero-discharge standards laid by statutory authority. We provide innovative and economical systems for waste from industries like chemicals, drugs, pharmaceutical, refineries, dairy, ready mix plants & textile etc. We are offering Effluent Treatment Plant. Packaging Details: SCREEN, TUBE SETTLER/ CLARIFIER, ACTIVATED FILTER, SAND FILTER, FLAT FARM WITH LADDER, FILTER FEED TANK, FILTER PRESS,OZONATOR, WATER SOFTNER, LTRA FILTRATION SYSTEM FILTER PRESS FEEF PUMP, SEWAGE TRANSFER PUMP, FILTER FEED PUMP, SLUDGE TRANSFER PUMP, PLANT ROOM SUMP PUMP, TWIN LOBE AIR BLOWER, ELECTRICAL PANEL WITH ENERGY METER, DOSING PUMP, WATER FLW METER , ELECTROMAGNETIC, ONLINE PH METER WATER FLOW METER, OIL SKIMMER, OIL & GREASE TRAP, AGITATOR,DOSING TANK, AIRIATION WITH PIPING & DIFFUSER, GI PIPING & FITTINGS WITH BALL VALUE, BIO-PACK MEDIA, TUBE DACK MEDIA. Our firm is engaged in offering Effluent Treatment Plants (ETP) to the respectable customers. Water, which is contaminated by anthropogenic and industrial/commercial activities is treated by the offered range utilizing effective mechanisms, physio-chemical & biological treatments, solid-liquid separation and number of other processes. This range is acclaimed for its low power consumption and rapid installation. 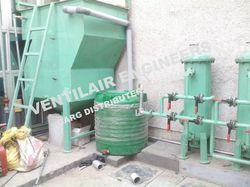 Ventilair Engineer Provides Effluent Treatment Plant for every type of effluent it would be different type huge amount so we have to reuse water, it is a waste water recycling plant.Vehicle Washing Effluent Treatment Plant ensures excellent savings in fresh water intake and drastically reduces discharge to drains. It implements an environment friendly technique for the treatment of car wash effluent that consists of many pollutants like free oil & grease surfactants & chemical oxygen demand . 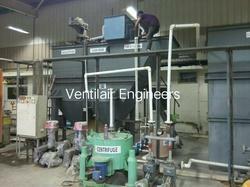 Ventilair Engineer Provides Effluent Treatment Plant for every type of effluent it would be different type huge amount so we have to reuse water, it is a waste water recycling plant Ventilair Engineers Is Leading Manufacturer & Supplier Of Effluent Treatment Plant For Automobile Division In All Over India. We Have Already Installed 700 Above Waste Water Treatment Plant. 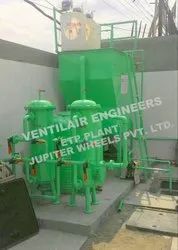 Ventilair Engineers Have Also Installed Effluent Treatment Plant In Many More Automobile Workshops Like Nissan ,hyundai,volkeswagon, Mercedes, Chverlet, Ford, Audi, Honda, Sckoda, Maruti, Toyota, Bmw Etc. This Unit Is Designed And Installed For M/s. 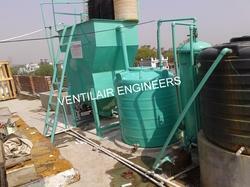 Garg Distributors (Yamaha) By Ventilair Engineers. We Are Instrumental In Offering A Wide Range Of Effluent Treatment Plant (E.T.P) For Automobile Division . Ventilair Engineers Is A Leading Manufacturer & Supplier Of ETP Plants.The usage of these products varies from one industry to another. These ETP units we offer to the clients are suitable for automobile workshops that are further tuned specifically for effluents that are available from an automobile workshop. Our products purifies the water of all types of effluents like gaseous, liquid or solid. These units are corrosion resistant and requires minimal maintenance. Our products are manufactured using superior quality material under stringent supervision.